Last week, debilitating storms dumped flood water throughout the Detroit area, including the offices of Small Stone Records, label home of Sasquatch, Wo Fat, Greenleaf, Lord Fowl, Dixie Witch, Roadsaw and so many others. Gear and product were both destroyed and insurance is only going to go so far, so we're coming together to help Scott Hamilton from Small Stone with some of the massive expense of cleaning up from this flood. Hamilton's support for heavy music in the near two-decades that he's run Small Stone has never wavered and this is a chance to help somebody who's helped us by enriching our lives with great bands and great riffs. 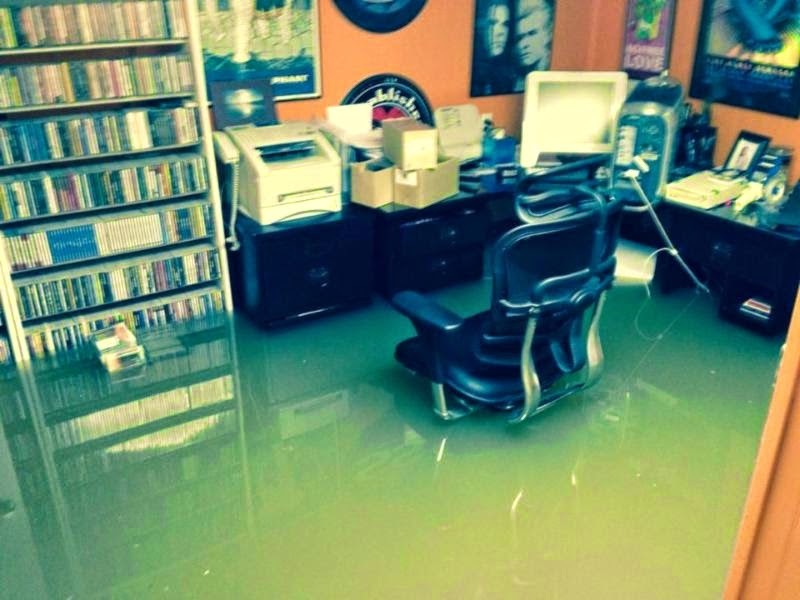 A recent post by The Obelisk details, "It was painful last week to see the pictures of the Small Stone Records offices, flooded out from powerful storms that tore through the Detroit area. Still sealed label product floating through dirty water, files and CDs, the fruit of countless hours of work on the part of label owner Scott Hamilton, simply ruined. In one of the pictures, however, you can also see a floating vacuum cleaner, and that's also important, because it reminds us that more even than being where kickass riffs come from, this is somebody's home. Scott is somebody whose tastes and whose efforts have helped greatly to shape the course of American heavy rock in the last decade-plus. Whether you're a fan of Dixie Witch or roadsaw or Sasquatch or Wo Fat or anyone else on his enviable roster, chances are even if you don't listen to those bands, someone in a band you listen to does. Small Stone has become the standard-bearer, and you can see the influence it has had not only in bands going for 'that Small Stone sound,' but also in labels who have come up in the last several years wanting to support the music they're passionate about in a similar way. But again, this is about more than music. It's Scott's house too, and that's why it's so important that this community comes together to help him out. You and I are part of a worldwide subculture. Don't believe me? Go to a show anywhere and look around you. It's the same every place you go, and that's no mistake. One of our own - someone who's directly participated in making this weird, ongoing thing to which we belong - needs our help. Frankly, that should be enough to make you want to get involved." Donations are being taken through the middle of next month, but since it's a water cleanup process and there's the ever-present threat of mold, time's a factor. To donate point your browser to THIS LOCATION. Every bit helps. Thank you for your support.